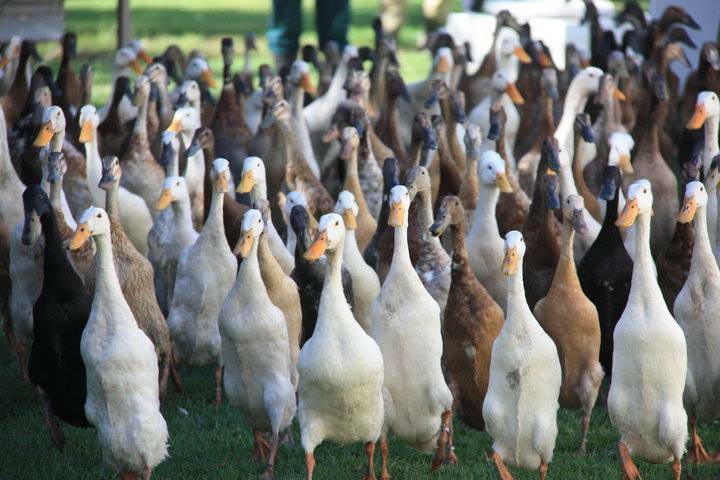 A ‘working flock’ of over 1200 Indian Runner Ducks makes Vergenoegd one of Africa’s proud pioneers of a very unique, integrated pest management programme. The ducks parade three times daily as they mhead into the vineyard to forage for snails and insects under the watchful eye of their herder. Visitors can also visit the Vergenoegd duck pens and “breeding room” and will be shown to those interested what duck farming “looks and feels” like. The Estate is also a habitat for a variety of bird life. Ornithologists are welcome to make use of birding opportunities on the Estate. A R10 contribution per person upon arrival may be redeemed against any purchase from the farm and goes towards the Integrated Pest Management and Duck Research Programme, the results of which will be made available to other vineyards or farms around the world that may opt for natural pest and snail control by Runner Ducks.